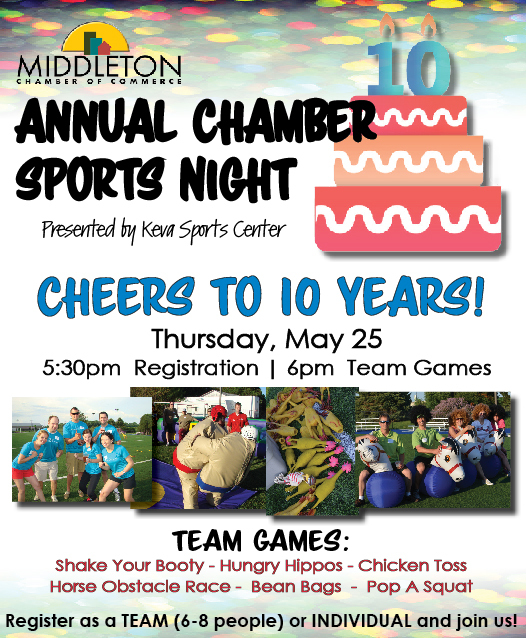 Grab your colleagues, family and friends and join us for the 10th Annual Chamber Sports Night! Teams consist of 6-8 people. Click the link above to register you or your team above (please list your team name in the comments). Individual registrants will be placed on a team.